Crunchy biscuit (26%) with soft caramel (32%) covered in milk chocolate (35%). Clear case. 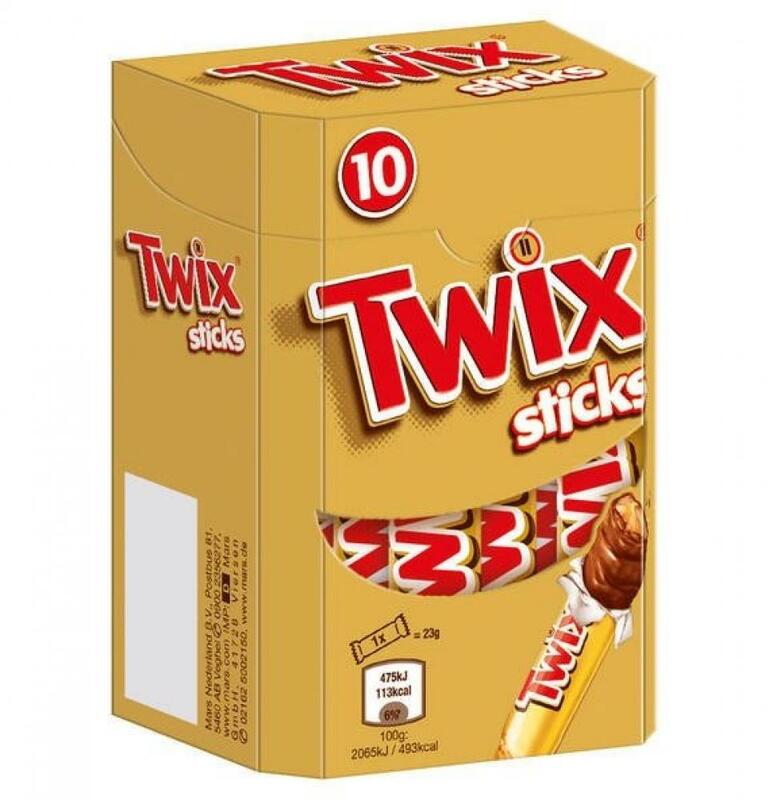 Twix Sticks also know how to convince as a single. The lean bar of crispy biscuit with a creamy, golden layer of caramel and the cover of delicate milk chocolate removes hunger in a tried and tested manner. Sweeten your break with deliciously crispy enjoyment.